Ever wondered where Afternoon Tea comes from? It’s all down to this lady here, Anna Maria Russell, Duchess of Bedford, the originator of our favourite British cake-filled pastime. The story goes that the Duchess came upon the idea during a visit to the 5th Duke of Rutland at Belvoir Castle in the mid-1840s. Typically during this period, people would only have two meals during the day, breakfast and dinner, which was served fashionably late between 7 and 8.30pm. This left our first lady of Afternoon Tea feeling rather peckish during the mid-afternoon slump. In search of a light refreshment, the Duchess requested a meal of Darjeeling tea and cakes or sandwiches be brought to her as a mid-afternoon snack - and just like that, the tradition was born! The trend quickly caught on when the Duchess invited friends to join her for tea in her rooms at Woburn Abbey. 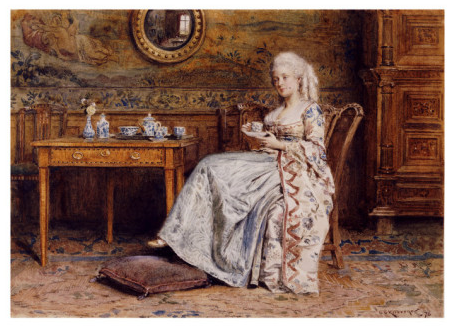 Over time this transcended into somewhat of a social event for the upper-classes who would flaunt their wealth with tea parties in their extravagant gardens and at popular tea rooms and hotels in the 1880s. Far from the Duchess’s original modest meal of tea with bread and butter, Afternoon Tea as we know it has become quite the occasion in the UK and of course, across the world with lavish hotels and tea rooms serving the key components; finger sandwiches, scones with jam and cream, cakes, pot of tea and perhaps a glass of champagne. 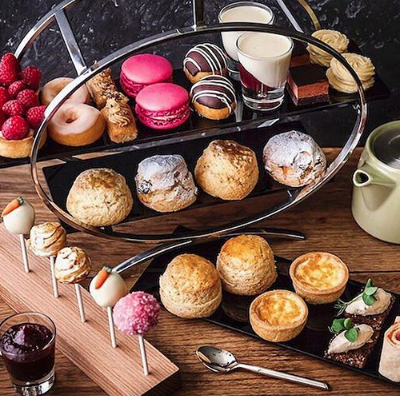 From cream tea to high tea or champagne tea, the tradition can be enjoyed in various forms, for a Saturday afternoon break or a special celebration. Whichever way you choose to indulge be sure to raise a cuppa to the Duchess and her afternoon cravings.